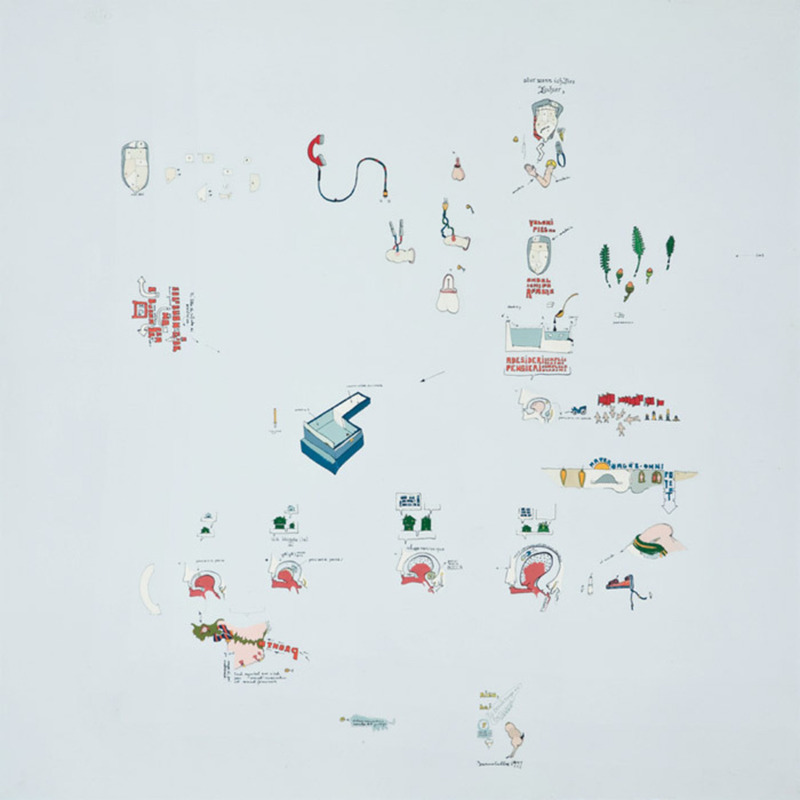 Gianfranco Baruchello, Volumi, pieghe, ombelichi e farfalle (Volumes, Folds, Navels, and Butterfiles), 1977, mixed media on aluminum, 19 5/8 x 19 5/8". Latifa Echakhch, Enluminure (Illumination) (detail), 2012, ink on inside of windows, dimensions variable. In Italian, the word verso has several meanings: a line in poetry (“verse”), the direction of movement (“toward”), and the back side of a sheet of paper (“verso”). As the title of Latifa Echakhch’s recent exhibition, the word reflected the complex and stratified nature of her work. The artist seeks and reveals the polysemic nature of words and thingsmeanings that slide into one another, sharing some aspects yet elsewhere diverging. 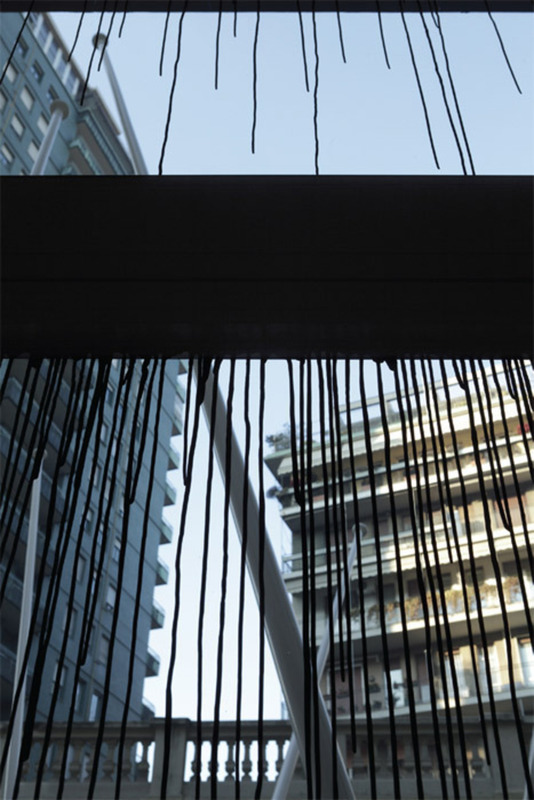 Enluminure (Illumination), 2012, a site-specific work the artist prepared for the gallery, was made of black ink that had been dripped down the gallery windows.